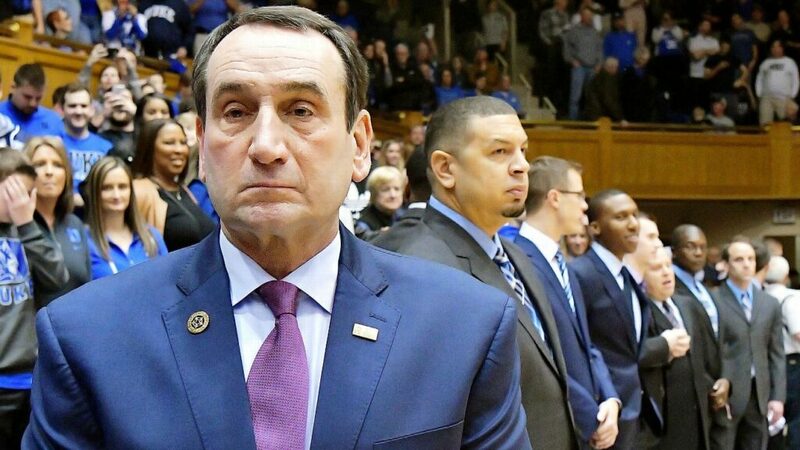 Duke coach Mike Krzyzewski’s 44-year career is legendary in every conceivable way. He took a moribund Duke program in 1980 and firmly entrenched it among the all-time elite basketball schools in the history of the sport. But, this year, 2019, Coach K dropped the ball. Despite five NCAA Championships, 12 Final Fours, 12 ACC regular season titles, and 15 ACC Tournament championships, the questions about Duke’s icon are beginning to creep into the whispers among people who cover the sport and, take part in it. It’s likely that no team Krzyzewski has had in his career contained the high-end talent of this edition of Duke, with three likely top-five picks and four projected first-rounders. Which is why No. 2 Michigan State outslugging No. 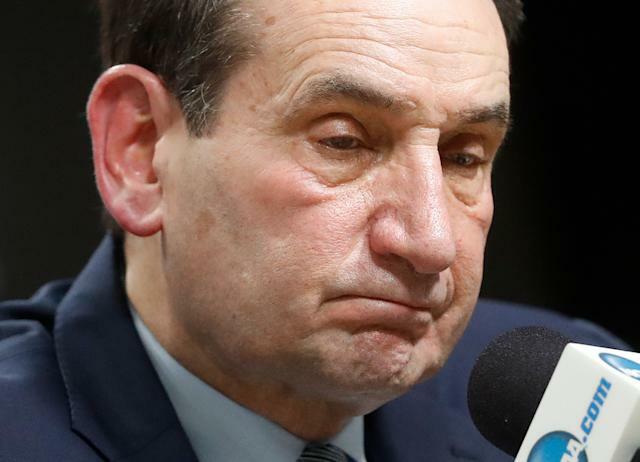 1 Duke, 68-67, in the Elite Eight on Saturday will haunt Krzyzewski. In the one-and-done era, the best and biggest practitioners of the policy have been Krzyzewski and John Calipari, from Kentucky. These two have not run away from the concept of recruiting the very best players in America, most of whom have zero concern with academics or education. When asked about the missed opportunity this roster will come to represent, Krzyzewski didn’t flinch. Williamson could well go down as the last truly transcendent college basketball star. Williamson all but said he’s leaving for the NBA after the game, which is about as obvious as the color of the White House. The same is expected for Barrett and Reddish, who’ll both be gone in the NBA’s top five. The caliber of Duke’s young talent failed to overcome the roster’s lack of depth and the inconsistency bred from injuries. And on Sunday, after 16 lead changes and seven ties, Duke couldn’t overcome a Herculean effort from Michigan State point guard Cassius Winston and a clutch 3-pointer from Kenny Goins to win the game with 34 seconds left. Fittingly, it was Winston dribbling out the game’s final seconds as Duke failed to foul trailing by a point. Winston sprinted away from Williamson, the final snapshot of a day where they just couldn’t keep up with his 20 points, 10 assists, four steals and just one turnover. When Duke won the national title in 2015, it highlighted Krzyzewski’s coaching paradigm shift. That team featured Jahlil Okafor, Justise Winslow and Tyus Jones, all of whom skipped through Durham for a year before ending up being picked in the top 25 of the NBA draft. At that Final Four, Krzyzewski bristled at the notion of Duke mimicking the blueprint of Kentucky’s program. But in reality, they stole Kentucky’s gameplan and got better at it, with this team’s 32 victories and No. 1 overall seed the supposed culmination of an evolution. The one-and-done era essentially began after the NBA stopped allowing high schoolers to enter the league following the 2005 draft. In that time, Villanova’s model of building through veterans, defense and a culture of player development has proven more successful. To decree this season a failure would be too bold. But it was clearly a missed opportunity, and perhaps Coach K’s last chance to coach a juggernaut to the national title. 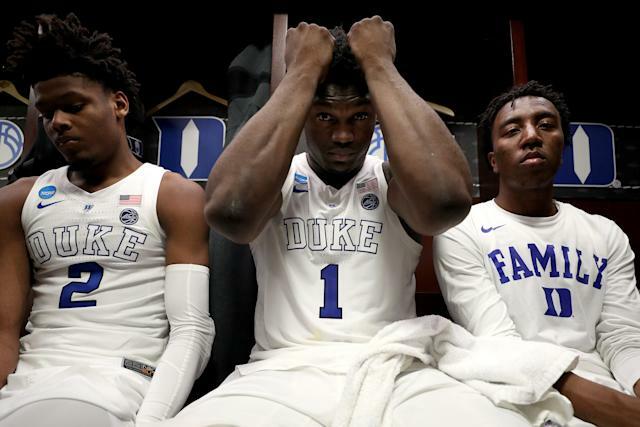 There will never be another Duke team under Krzyzewski with as much high-end talent as this one, which will fill Krzyzewski with as much regret as any loss in his career.